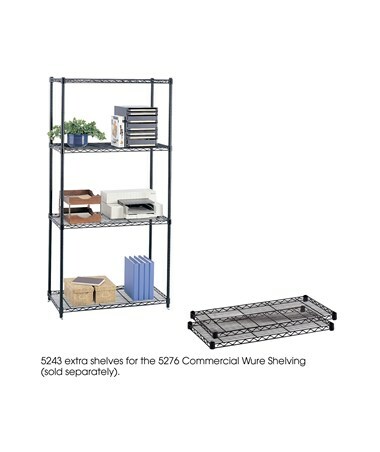 The Safco Commercial Extra Shelf Pack is a great add-on shelf for the Safco Commercial Wire Shelving It features a weight capacity of 2,000 lbs of evenly distributed weight and is adjustable in one-inch increments. 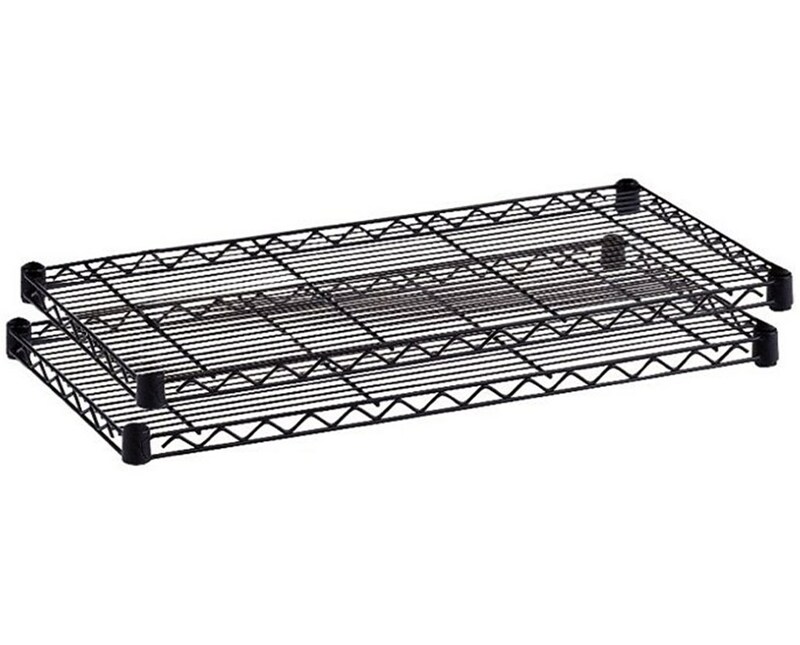 It has an open wire design that allows air circulation and prevents dust accumulation. 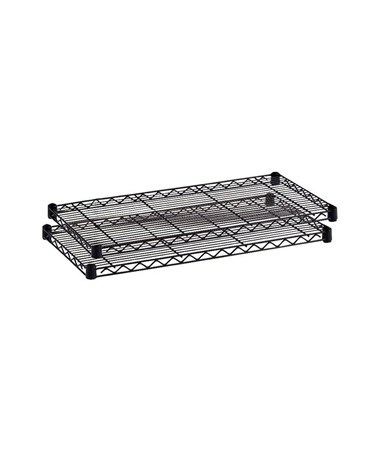 This shelf is 18 inches deep and fits the Safco Commercial Shelves. It is made of steel with a powder coat finish which makes it more durable and resistant to scratches. It is also GREENGUARD certified which guarantees that it is safe for indoor use. Each pack includes two shelves. 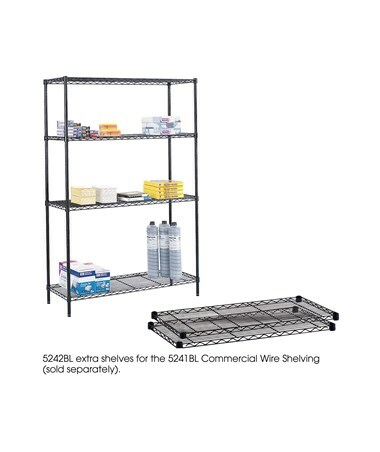 The Safco Commercial Wire Shelving is available in two different width measurements. Please select your preference from the choices above.